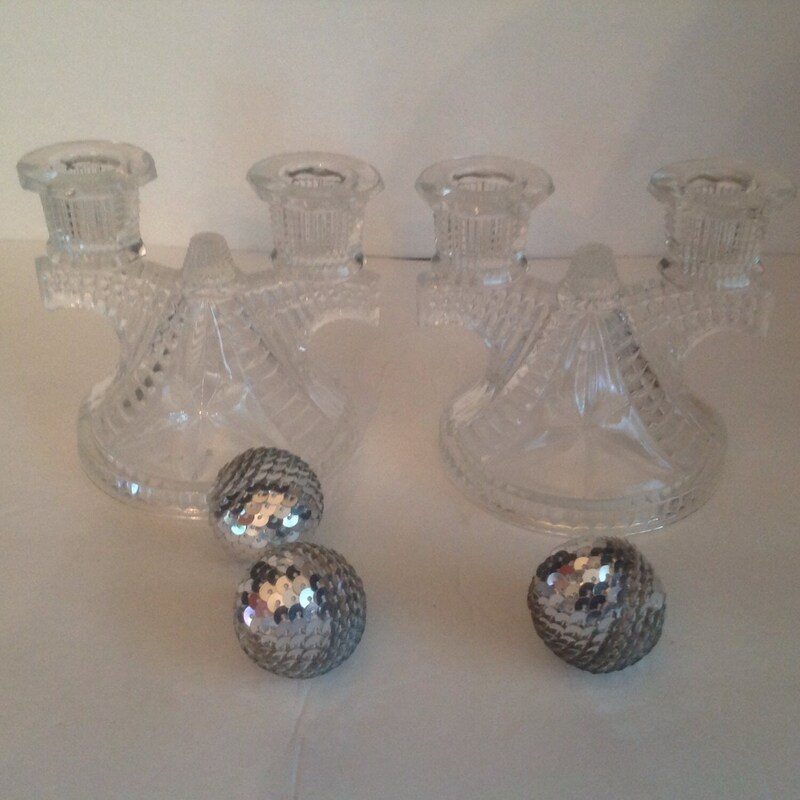 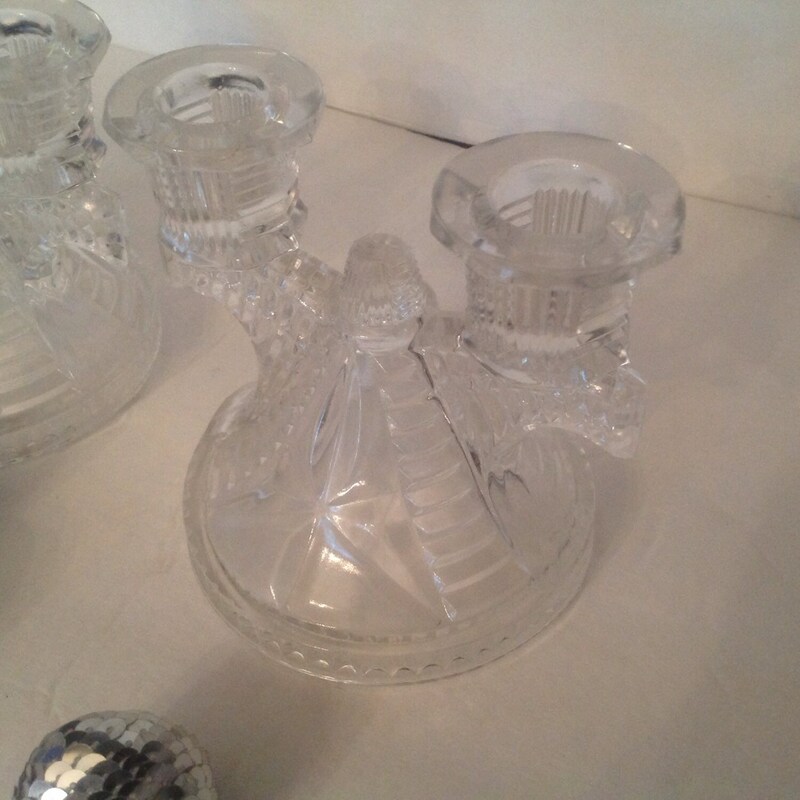 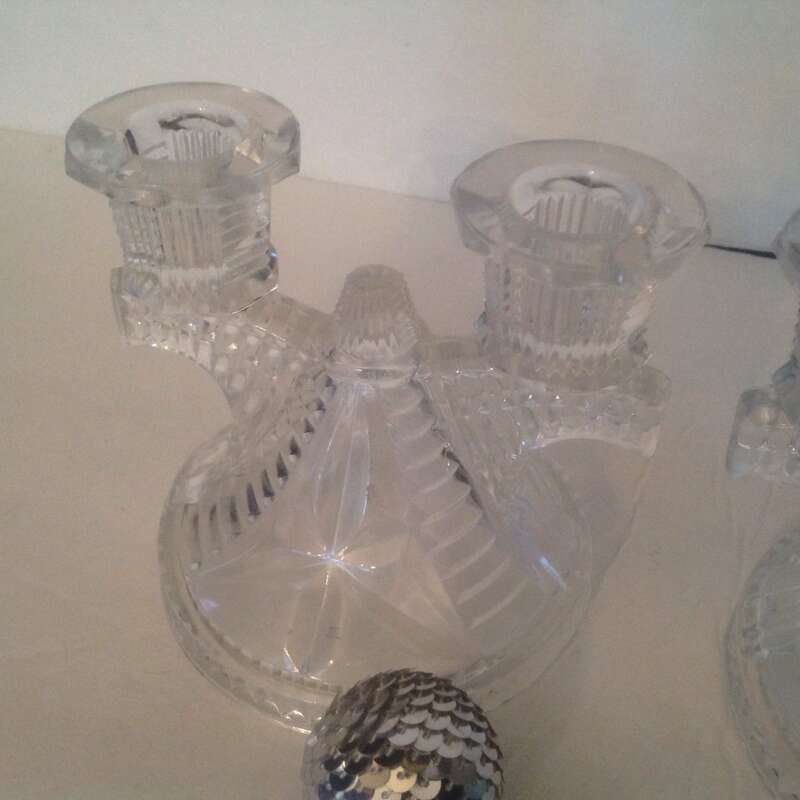 This pair of lovely vintage pressed glass candelabras accommodates a total of 4 tapered candles. 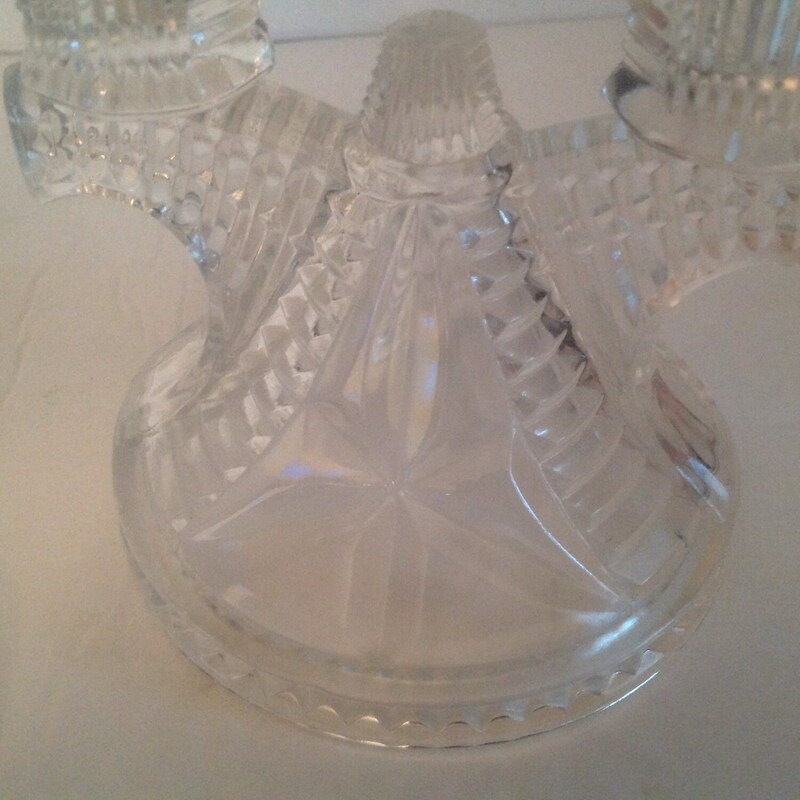 The design features starburst pattern and interesting horizontal and vertical cuts. 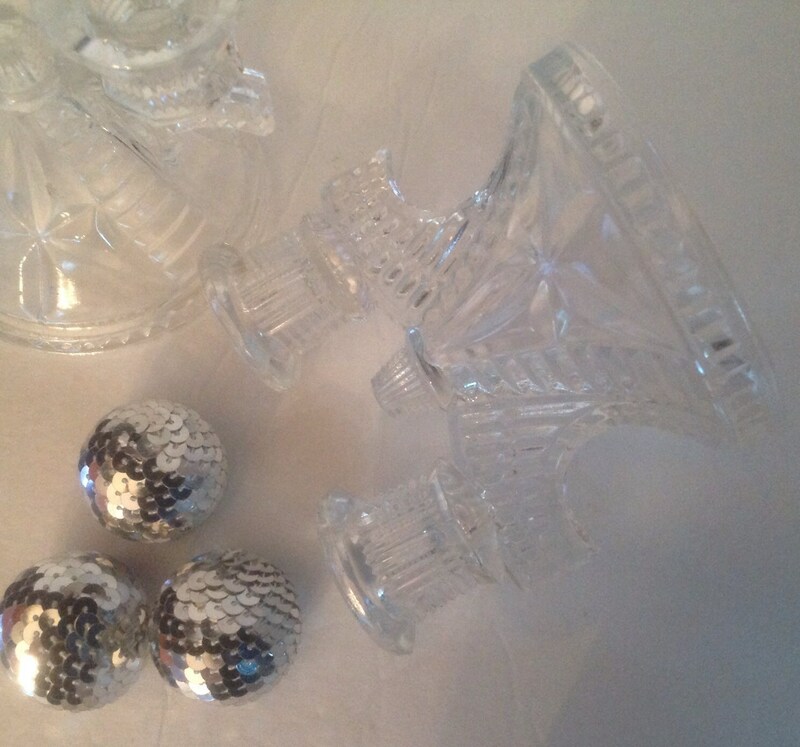 Very elegant accents for buffet or dining table.